Is it possible to shed pounds without giving up on your favorite foods? Or achieve a perfect figure without starving or craving for a filling meal? 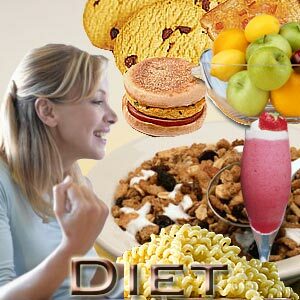 Well, Dukan diet is a popular diet plan that promises all that and much more. Created by French medical doctor Pierre Dukan, this is the most popular diet in France and is quickly spreading to other parts of the world. The biggest advantage of Dukan diet is, it not only assures weight loss but allows you to sustain it in future. It is a well designed weight loss plan that emphasizes on protein and nutrient packed foods like lean proteins, low fat dairy products and fruits and vegetables and discourages carbohydrates to control the weight. When the body is not supplied with enough carbohydrates and fats, it turns to the reserved fats existing in the body as a source of fuel thereby leading to weight loss. Dukan diet also insists on having two spoons of oat bran every day as it aids digestion and contains high amount of fiber which in turn helps in controlling weight. The Dukan diet is executed in four phases and each phase aims to achieve a specific objective. The first two phases work on reducing weight to the desired target level and the next two phases help to sustain the success achieved. The different stages of Dukan diet are explained below. This phase is extremely challenging to vegetarians as the choice of food narrows down. But tofu, made out of soy milk is an excellent replacement to meat. This is the second phase of Dukan diet that permits vegetables along with protein dense foods on alternate days. To be more specific, 'only protein days' can be combined with 'protein and vegetable days' alternatively. One should strictly avoid frying vegetables; they should be eaten in boiled or raw form. Cruise phase too helps in weight reduction, but the pace may be little slower compared to attack phase. This phase is very vital to the Dukan diet as this stage will prevent you from gaining back the lost weight. Consolidation phase works on sustaining the success achieved in the last two phases. This phase is little more liberal compared to earlier two phases and will let you enjoy cheese, few watery fruits and bread apart from the foods allowed under first two phases. You may not notice any weight loss during consolidation phase, but it will surely help you to maintain the healthy weight you have already accomplished. One needs to do a simple math to find out the duration of consolidation period. You should remain in consolidation for 5 days for every pound you lost during first two phases. If you have lost 4 pounds you need to stay on this phase for 20 days and if the lost weight is 5 pounds the consolidation period rises to 30 days and so on. Fruit (one serving per day) Avoid banana and dried fruits, Watery fruits are preferable. The first three phases have a time limit but the fourth phase, known as stabilization phase, needs lifelong commitment. 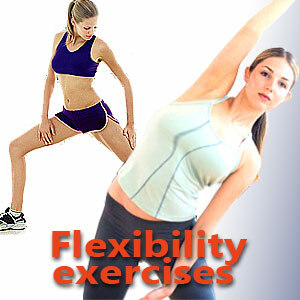 The purpose of the stabilization phase is to maintain the optimal weight attained for the rest of your life. This phase allows you to eat whatever you desire, but with two conditions attached to it. Firstly, keep a control on serving portions, guarding the calories you consume. In short 'Eat but do not indulge'. Secondly, one day in a week should be earmarked as 'pure protein day' and on such day follow the diet mentioned under attack phase. Thursday is considered the most ideal day to follow the protein diet as it falls in the middle of the week. Apart from the above mentioned diet rules, one needs to keep physically active through simple exercises to enjoy the Dukan diet benefits permanently. There is also a flip side to Dukan diet; especially the attack phase where one is allowed to consume only proteins. During this period, your body does not get enough fiber leading to constipation. You may also experience bad breath, dry mouth, tiredness, dizziness and it is also a known fact that high consumption of protein may cause kidney and bone related problems. Hence while on Dukan diet, certain precautions such as drinking large quantities of water (preferably 1.5 liters per day) to flush out the undigested proteins and taking oat bran regularly may save you from the side effects. First Published Date: 18 Jul 2011 Last modified Date: April 18 2019 This page may have been updated recently as new information is available or the content may have been edited for better readability.